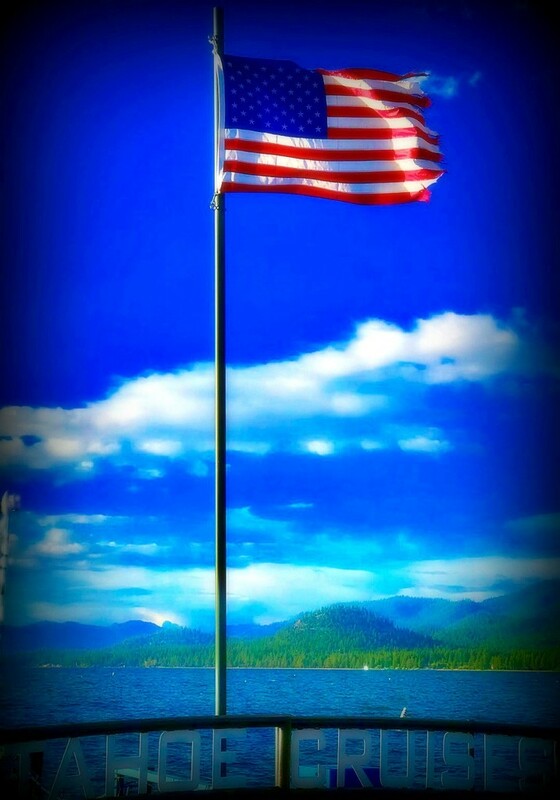 This flag is flying on the dock of Tahoe Cruises over looking Lake Tahoe. I posted in honor of Memorial Day...a day of remembrance. Best on black. I hadn't realised you had a Memorial Day at this time of year. Guess I am only used to the November 11th date in the UK. Lovely image for a poignant day. An icredible image and stunning colours. Beautiful poem and marvelous photo of our flag! A wonderful posting for the day - stunning against black. Great memorial and a beautiful lighting in this pic. Wonderful capture and lovely poem to mark the day. Wonderful image for Memorial Day! Another quote: "Our Flag does not fly because the wind blows it; It flies with the last breath of Every Soldier who died defending it."